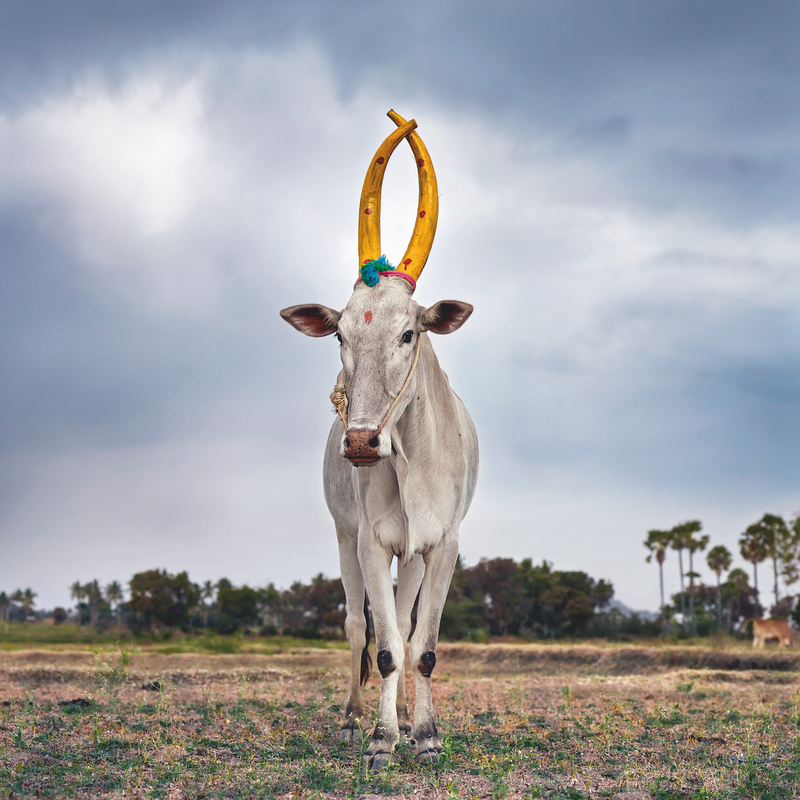 Maybe you’ve paused to admire the curved crown of a Texas longhorn while driving down some country roads, or noticed the silhouette of a cluster of cattle sitting under a tree before the rain. 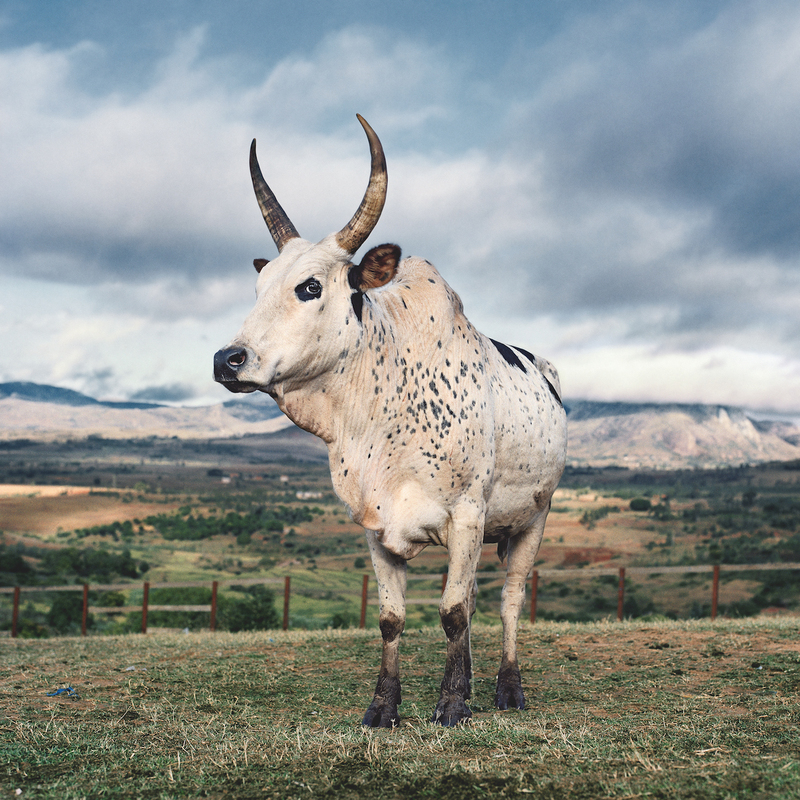 There’s a beauty in the bovine’s domesticated body that inspired Daniel Naudé to spend two years taking portraits of cows. 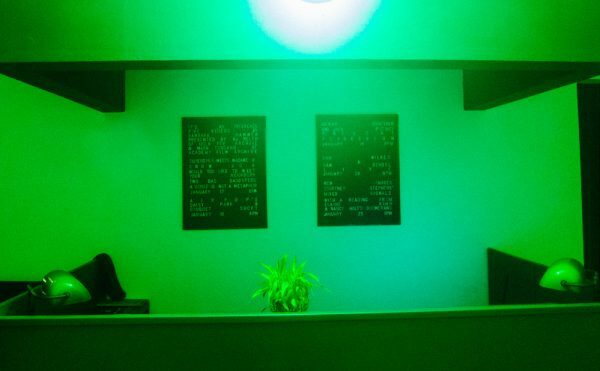 And not just any barnyard beasts. 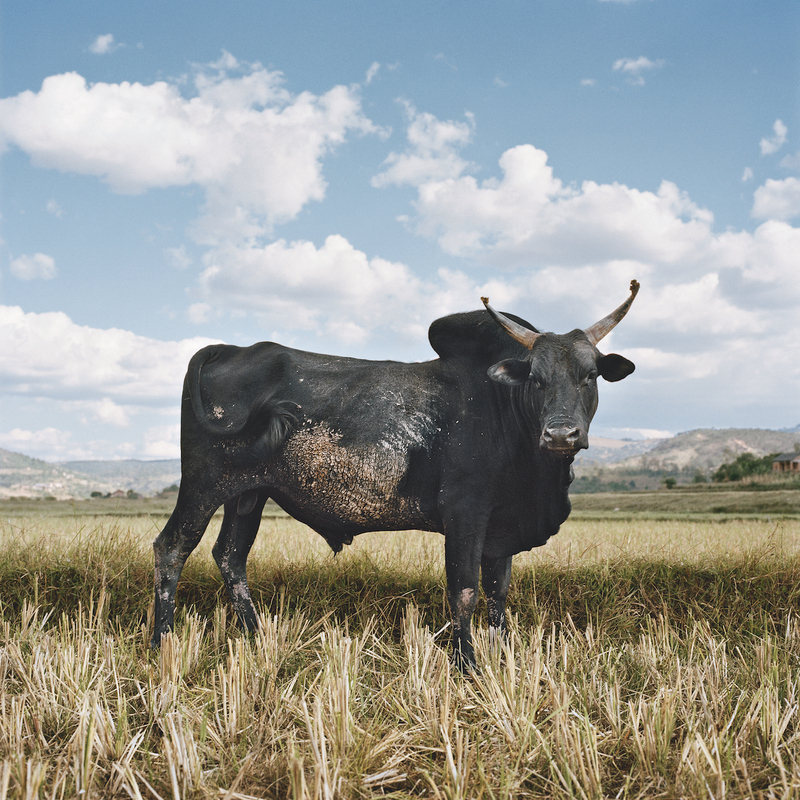 The Cape Town–based photographer traveled to three regions where the cow is sacred: Uganda, Madagascar, and India. 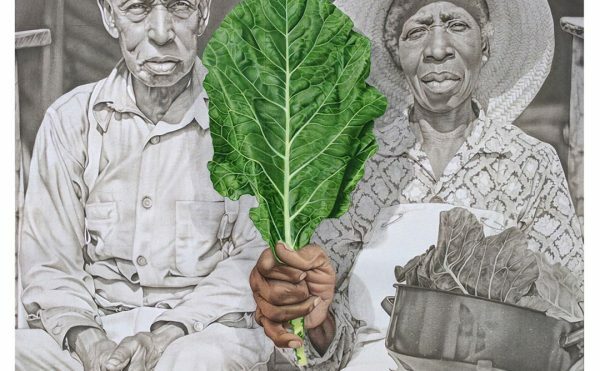 Sightings of the Sacred, published recently by Prestel, includes 50 of Naudé’s photographs, some of which were shown previously at Stevenson gallery in Cape Town. 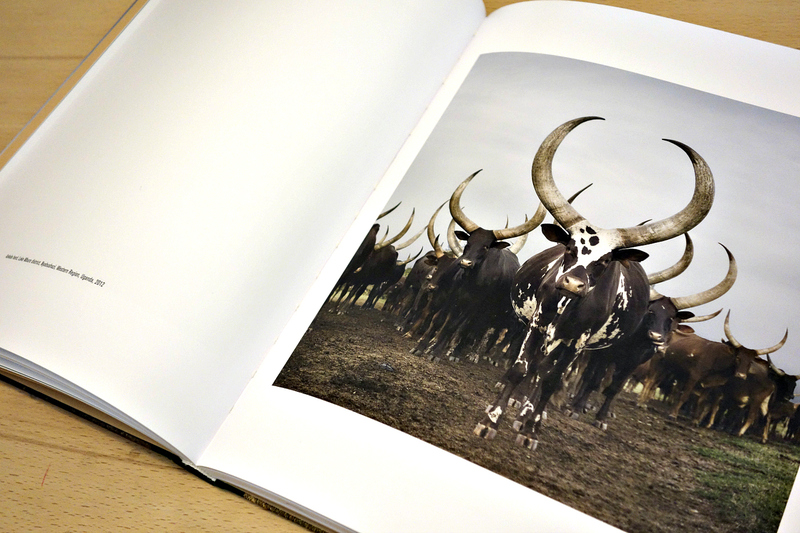 The series follows his work on the architecture of bowerbird bowers (nest-like structures used to attract mates) and goats, wild dogs, and other animals in South Africa (published in a 2012 book called Animal Farm). 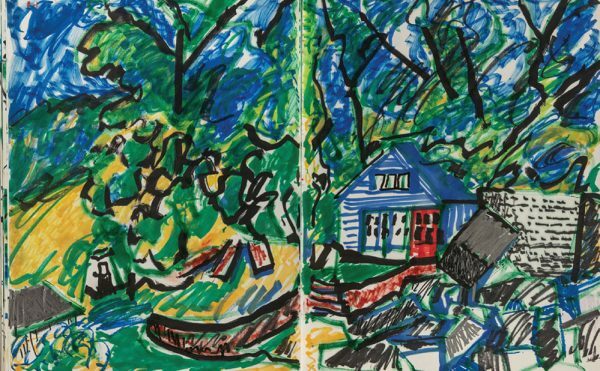 Each project, while focused on the animal, is in a way about the human relationship to these creatures. 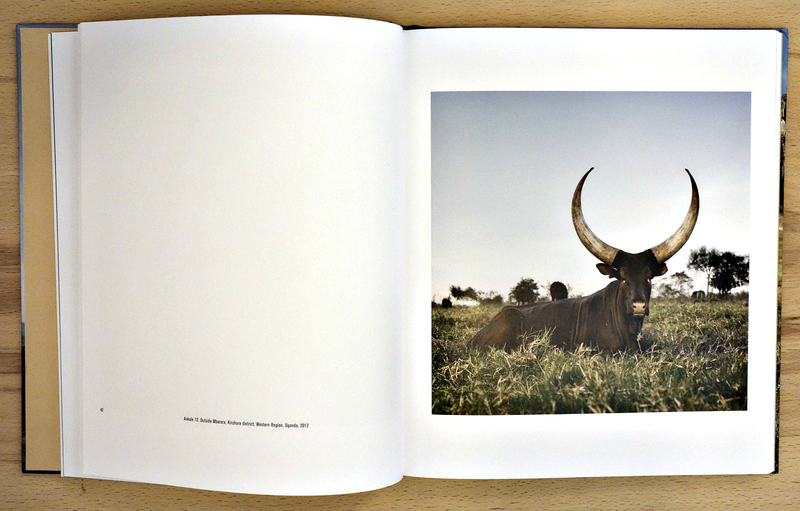 In Sightings of the Sacred, the portraits of the cows with their majestic horns are accented by shots of the surrounding landscape: the farmers who tend them in Uganda, funeral posts adorned with Zebu horns in Madagascar, and shrines decorated with images of cattle in India. 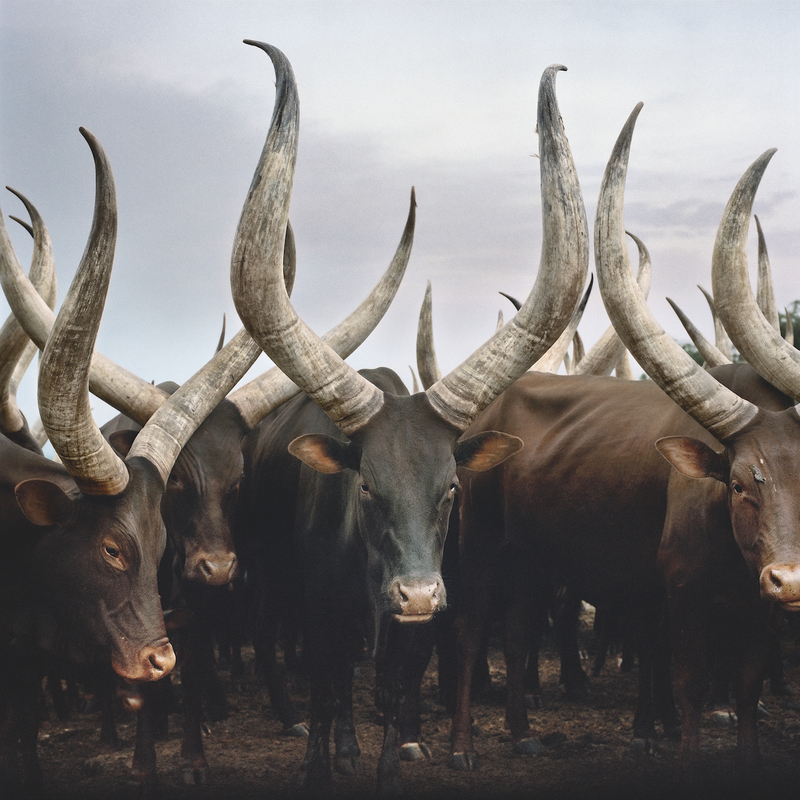 In Rwanda the cattle of the kings, the Watusi Longhorn — whose enormous horns could reach a span of two to three metres from tip to tip — is already extinct. 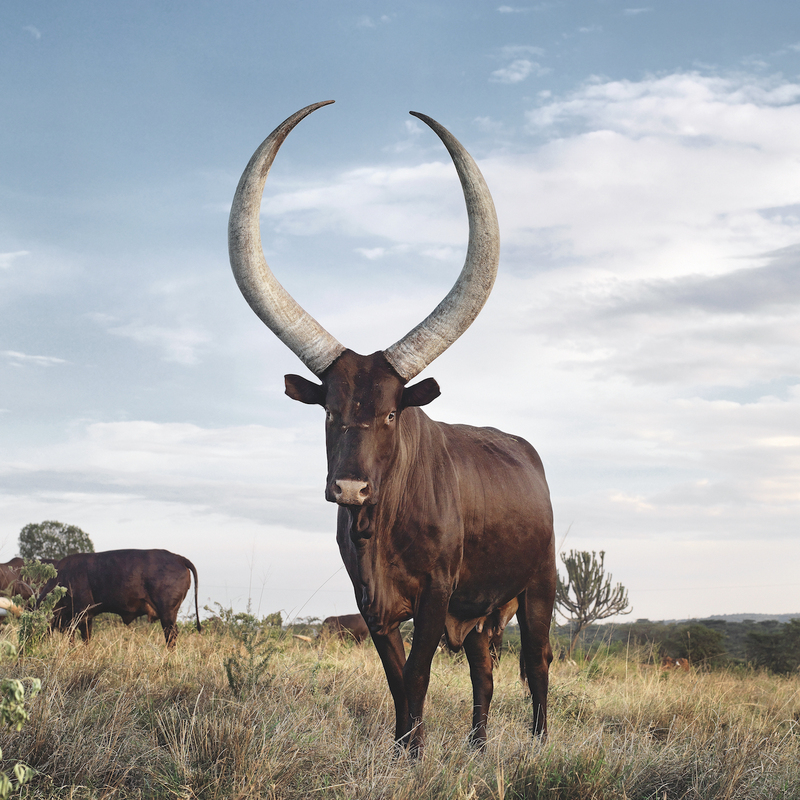 The demise of the Watusi implies the loss of cultural wealth and knowledge, and in Uganda cattle owners’ desperate efforts to preserve the purity of the Ankole breed are similarly about preserving and protecting their indigenous cultural capital. 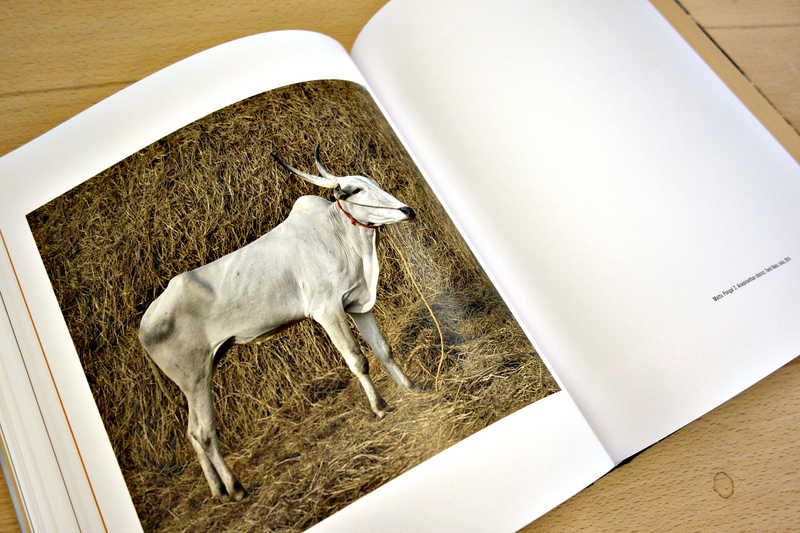 These animals are associated with bygone royalty, a connotation enhanced by the animal’s aura of dignity and strength. 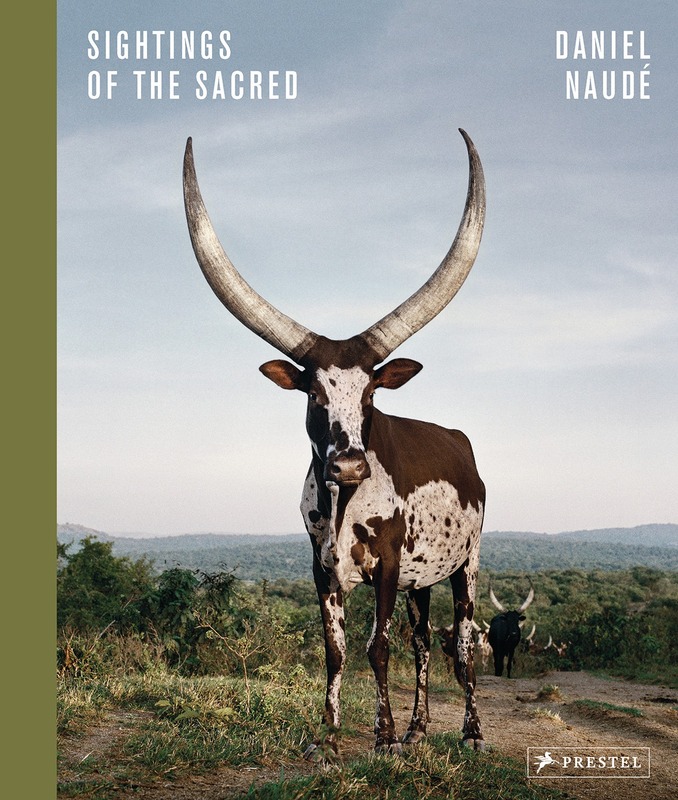 What’s most impressive about Sightings of the Sacred — and keeps a book that’s basically just images of cows from being repetitive or kitschy — is how Naudé brings out each animal’s individuality. 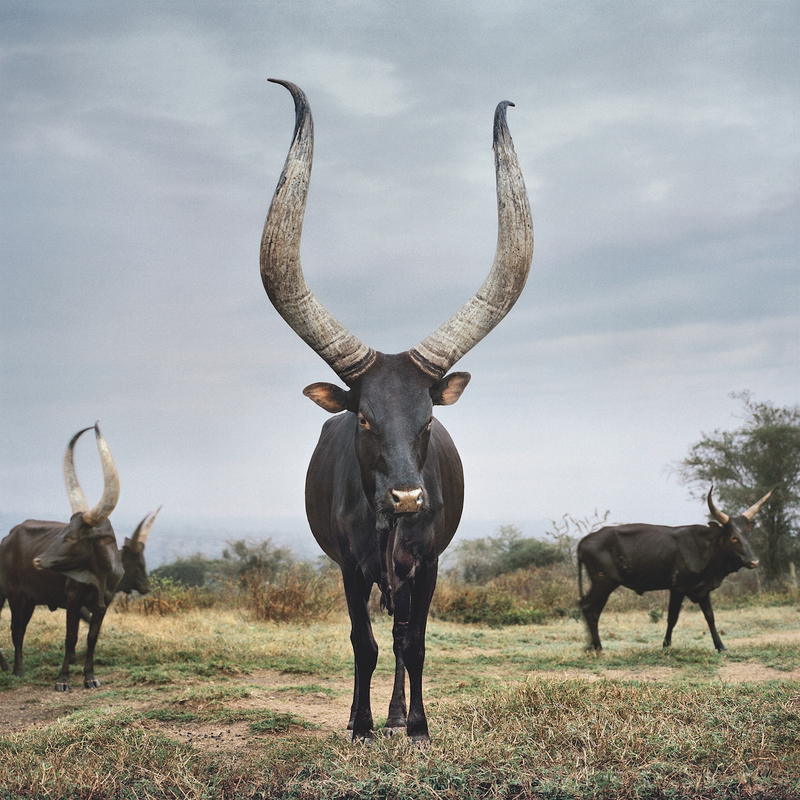 The Ankole cattle in Uganda, whose huge horns seem to spurn gravity, have an ancient air, as if they were lifted from a Minoan fresco. 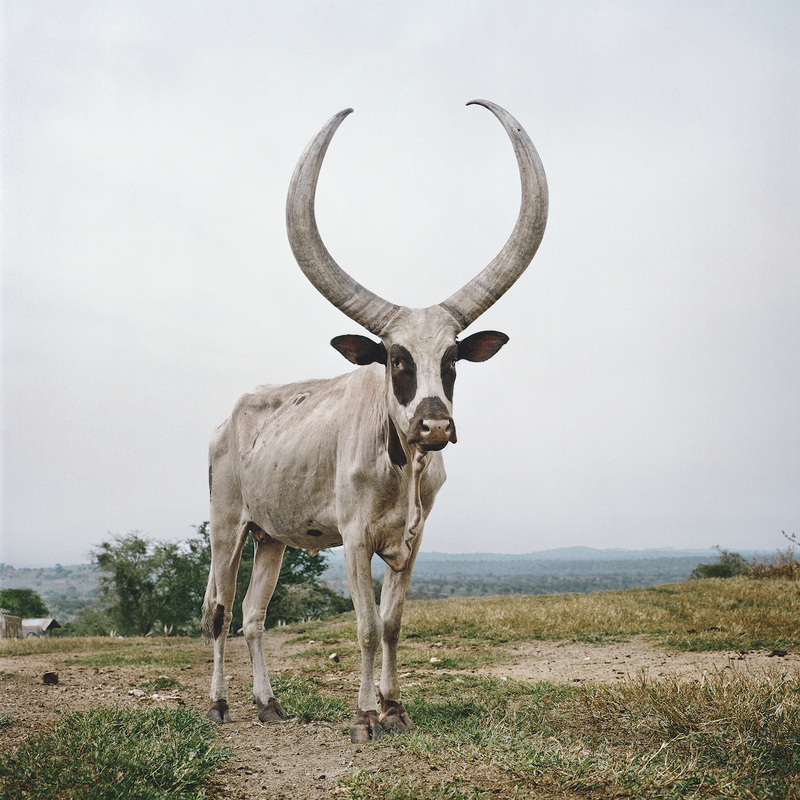 The Zebu cattle in Madagascar, with their black-and-white fur, gaze with a patience that seems to reflect both their job as cart-pullers and the belief in their “supernatural functions,” as Naudé puts it. 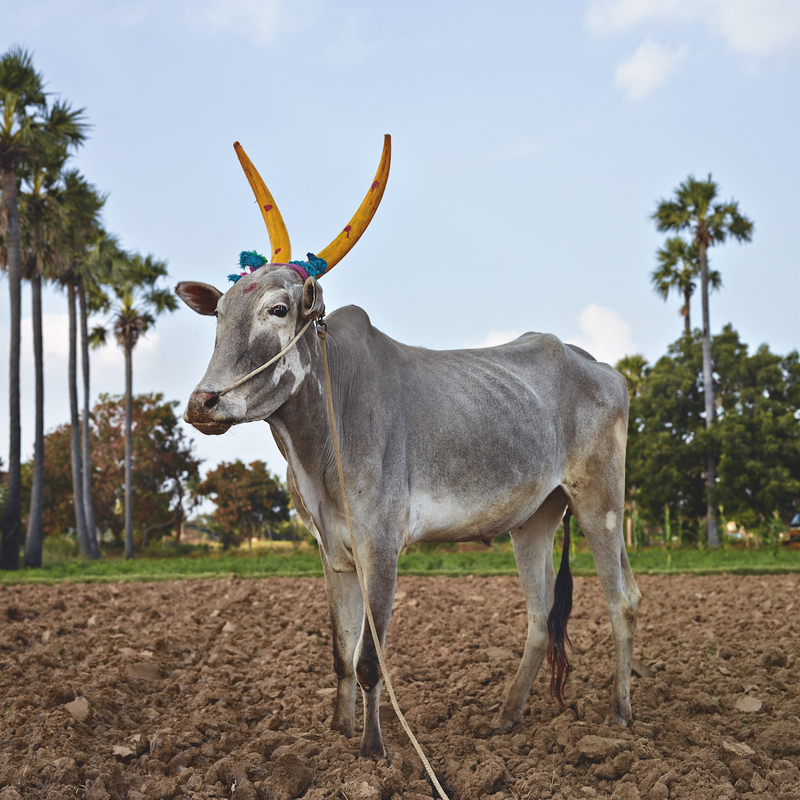 Meanwhile, the cattle participating in the Mattu Pongal festivities in India have horns painted in yellow and blue, flowers draped around their necks, and sometimes even balloons waving above their heads. 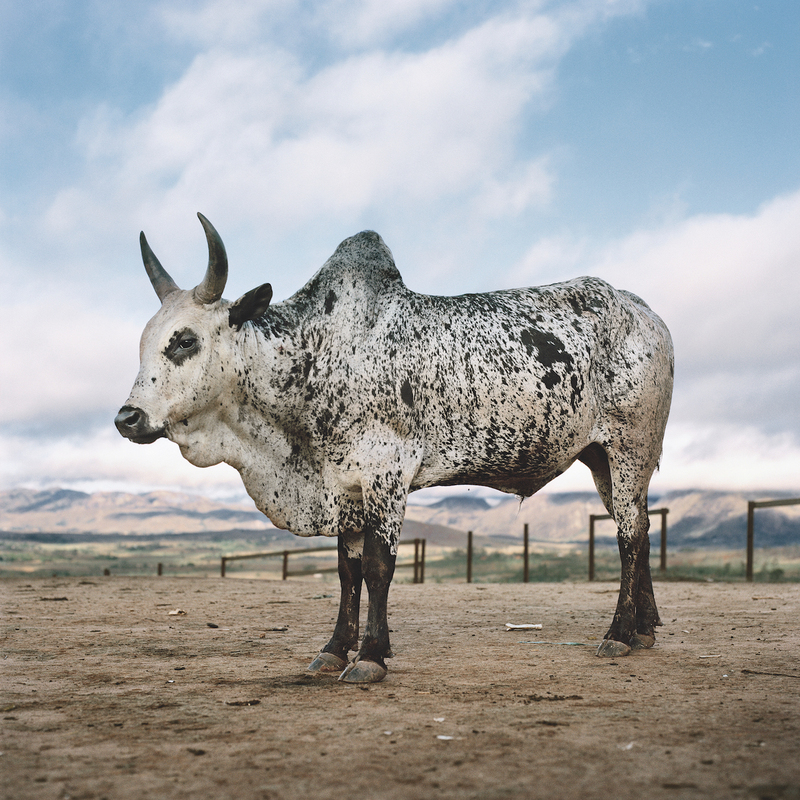 Naudé’s square photographs capture something of the divinity that humans project onto these animals, as well as the cow’s quiet acquiescence to its fate. 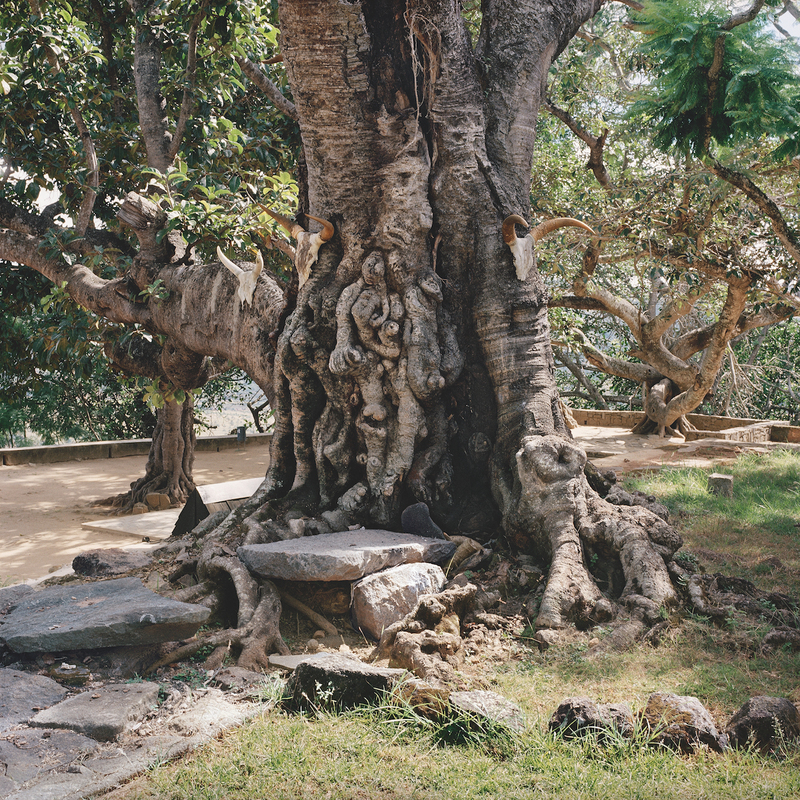 Daniel Naudé’s Sightings of the Sacred is out now from Prestel.